Sheanan Bond and Cherise Trahanmiller - the fashionable, free-spririted , spunky duo behind the hip and haute jewelry line Adha Zelma - agreed to meet with me for a quick chat on a hot New York City day. I was waiting for them in a glass- paned office. As soon as they walked in, I knew those were my girls. Together they have this effect – like the John Gallianos of this world – they look like their art. 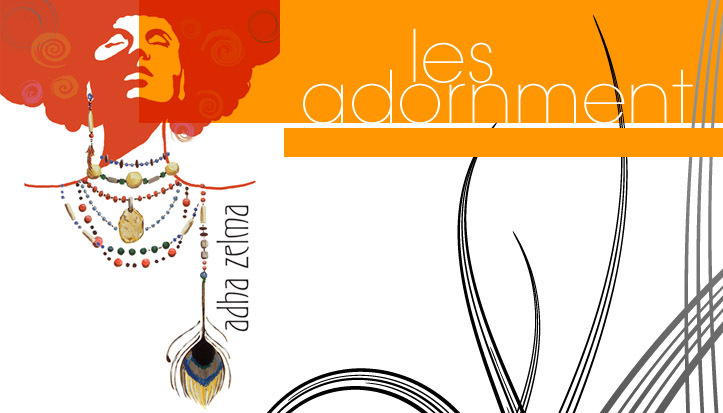 I thought, ‘Yes, these really are the designers of Adha Zelma’. Meeting these lovely ladies is like seeing fashion onomatopoeia at work. Just like their hand-crafted art, these ladies had an inherent flame, an unshakeable sweetness and sense of self in the world they inhabit. Most women wish to be as comfortable in their own skins as Bond and Trahanmiller and it would only make sense that this team would be the ones to come up with the traditional, yet modernly torqued pieces that make up their Adha Zelma line.